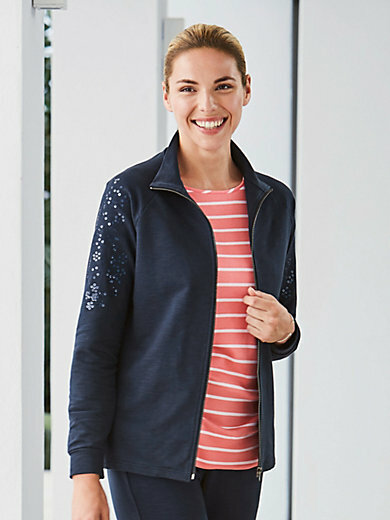 Jacket by GREEN COTTON with long raglan sleeves, embroidery with sequins, zip fastener, stand-up collar, 2 slash pockets and cuffs. GOTS certified. Made of 95% cotton, 5% elastane. Length approx. 26ins. The jacket is machine washable.